Here we have a Champions League match. Man City against Tottenham. The game will be played on Wed, 17th Apr 2019 with the time of kick off at 19:00pm UTC. The venue will be at City of Manchester Stadium. 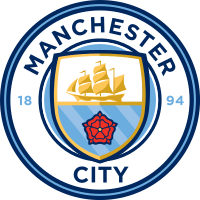 Man City’s last match was against Tottenham in the EuCL_1/4. and Tottenham won 1-0 playing at home. Man City’s recent form has been really good with 4 wins in their last 5 matches in all competitions. They have a total of 8 goals scored and 3 goals conceded in their last 5 matches in all competitions. Since they have conceded less than 3 goals, their defence is solid and we predict they may get a clean sheet in this match. Tottenham’s last match was against Huddersfield Town in the English Premier League. and Tottenham won 4-0 playing at home. Tottenham’s recent form has been okay but could have won more matches. They have a total of 9 goals scored and 4 goals conceded in their last 5 matches in all competitions. Man City are the hot favourites to win this match. Man City vs Tottenham prediction is provided by our Footy Power Football Expert Analysis Team. Good Luck!